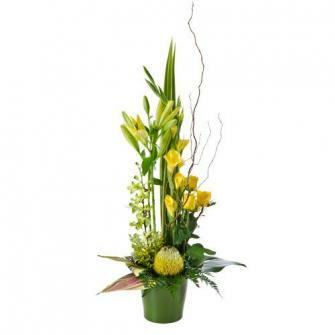 Radiance is a large tropical modern arrangement and has been artistically put together by our finest professional florists. This masterpiece is an impressive gift. Colour of singapore orchids may vary.